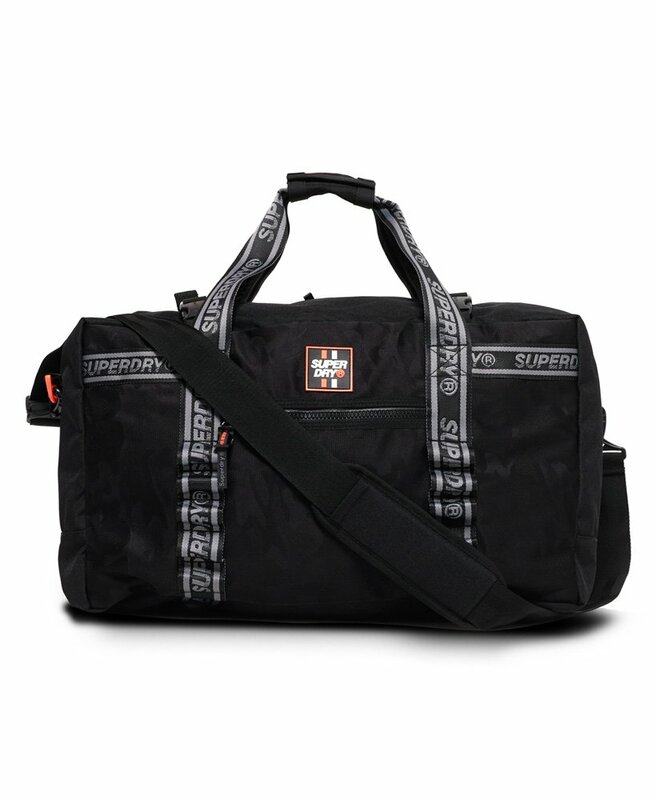 Superdry men's Citybreaker weekend bag. Heading off for a weekend getaway? Then the Citybreaker weekend bag is perfect for transporting all your essentials in style. This bag features two large main compartments, each covered by a mesh lining and a smaller zipped outer pocket. The bag can be carried in a variety of ways, using the twin carry handles, a single shoulder strap or as a backpack. This weekend bag is completed with branding on the carry handles and a rubber logo badge on the front.